Looks like George Clooney is in Lake Como. George who recently crashed into a Mercedes in Sardinia was injured went to hospital and was released the same day. It could be that George is getting further treatment from the Swiss hospital he has used before when his neck and back were giving him problems. No doubt George is in some pain as witnessed by the pap shots of a very pained George Clooney needing help to get on the plane. 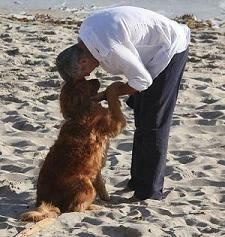 Videos, photos in George Clooney Real (Reel) News and George Clooney Homes. Amal Clooney is doing more public speaking. In November she will be at the 2018 Greenbuild International Conference and Expo, which will take place from Nov. 14-16 in Chicago. There is a very negative (and not the first) article about Amal Clooney and her hypocrisy. And jumping onto bandwagons to further her career.